﻿Hillsborough and a city that dared to fight. 26th April 2016. Yesterday was a little like semi final morning, there was a perverse sense of anticipation on what significance the days event would throw up. In a humble office surrounding which had been converted into a coroner’s court in the office quarter of Warrington East at around 11.30am, a keen sense of anticipation prevailed. Nothing could prepare or anyone else present for what was to come. After bringing the nine members of the jury in we cut straight to the chase. I personally felt overwhelmed by all manners of emotion once Lord Gouldring read out the verdicts. Within that contribution he said crisply and clearly “Unlawful killing”. The hundreds of families and survivors packed into this surreal setting gasped and an audible sigh of relief reverberated around the crammed room . He then proceeded to give out the other judgements which stipulated we got the 14 results we were looking for. I broke down unable to grasp the significance of his words. I felt relief, I felt elated, I felt sadness, and ultimately reflective. All manner of feelings were coursing through my veins and it hit me like a bus. Since the disaster I’d wrestled with my conscience over where the blame lie and why we ordinary working class people had been tarnished. Here I was witnessing total vindication. It was to some intent like winning 10 cup finals in one day. My great schoolboy friend Brian who helped me escape the clutches of pen 3 and gave me the chance to write this still finds it hard to grasp how lives can be lost going to watch a match. We didn’t talk about Hillsborough for 20 years as a result. What we witnessed on the Leppings Lane terrace will be with us till we join those who perished on that fateful day I guess and that’s another legacy we all have to live with as survivors. However yesterday was a weight lifted. My tears soon turned to those of joy as I seen the radiant faces of those who’d bore the burden of miscarriage for 27 years. I’ll run that by you again. 27 years. The more I think of that the more astonishing it was to get that result yesterday. Everton Football Club said it was the greatest result ever which shows crucially solidarity in its purest form. The hugs and kisses with the families rinsed me.I felt weak at the knees but strong in my heart. Reds and blues had fought as brothers in arms. These amazing people are the very fabric of society and had been shamefully denied repeatedly by the establishment. We’d trod this long road to justice together and campaigned long and hard over four decades and this was the verdict we’d been longing for. 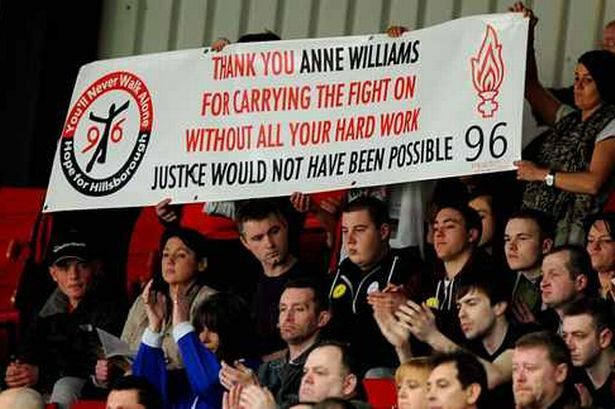 The HJC, HFSG, Hope for Hillsborough and the dearly departed Anne Williams all fought for the same outcome within the British legal system. Unlawful killing. Their courage knows no bounds and seeing it closely is so uplifting to the soul. It should also give everyone hope that wrongs can be righted. “The precursor to the disaster was Orgreave and the conduct of the establishment and the pupeteering of the South Yorkshire Police which directly affected us on that beautiful spring day”. Thirty years after Orgrieve the result of that inquiry was a whitewash. Will Hillsborough produce a better result? After sleeping on it and going back to work this morning my thoughts are now drifting towards accountability. This chapter is closing but the next one will be all about bringing those culpable for the day’s events and subsequent cover up to the dock. As a football supporter I can only say that the 15th April 1989 and the 26th April 2016 findings went way beyond 22 players kicking a ball about. We are now looking into how the authorities viewed and view not just supporters but working class cities as a whole. 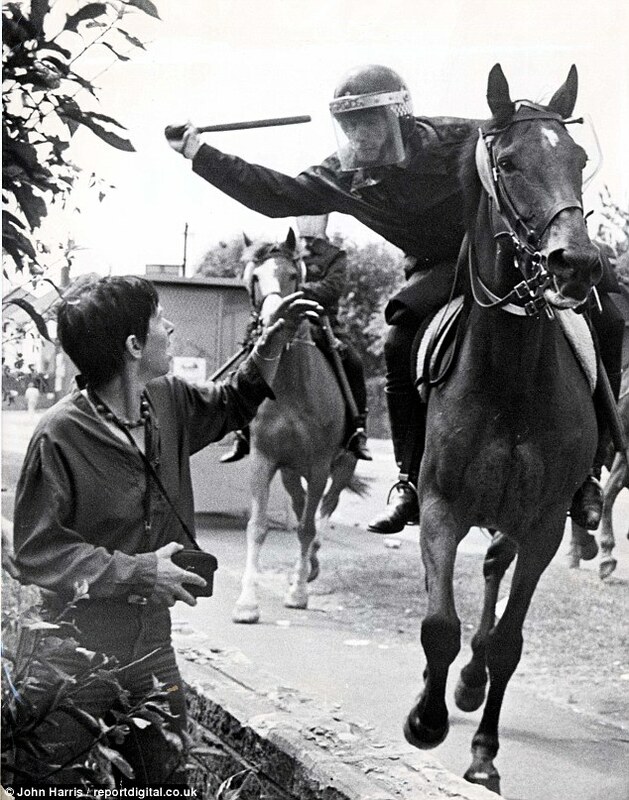 The precursor to the disaster was Orgreave and the conduct of the establishment and the pupeteering of the South Yorkshire Police which directly affected us on that beautiful spring day. My overriding message to all is raise a glass to the 96 souls who were taken watching their beloved Liverpool Football Club in a game we all love and fight for a better future within the beautiful game . As we witnessed yesterday, a city dared to fight and got the result. What better legacy could those who left us at Hillsborough leave for us and our children.